We often think of complex systems as something to be admired. And in some cases, they should be (like Google’s algorithms or The Wire). But too often we make our lives and work unnecessarily complex. What’s often overlooked is that complexity is easy to create. Think about it. Anyone can make things more complex. All you need to do is keep adding. Keep tacking things on. That’s not talent. Worse even, these benign additions may even be done under the guise of “simplicity.” For instance “fixing this problem is simple, we’ll just add xyz…” But it’s the opposite of simple. Each time you add another element to the mix, you also add the chance it could fail, continually overextending yourself. Doing great advertising is not complicated. In fact, its simple. Extremely hard and time-consuming, but simple. The hard part is removing the complications and obstacles that get in the way. We do everything we can to minimize the things that block the creation of great advertising. Want a reliable and repeatable process or product (or life)? Then it needs to be simple. 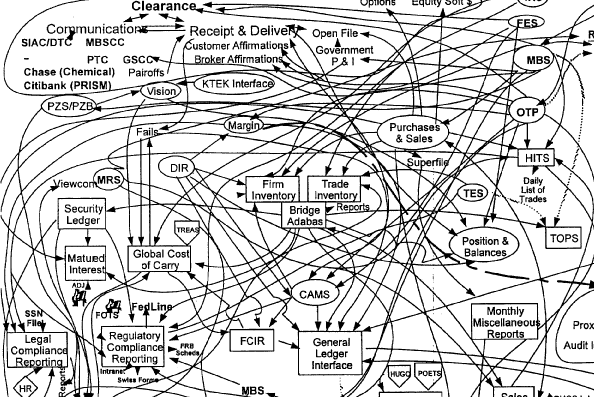 Complexity is hard to repeat and hard to rely on. Repeating a 15 step process is harder to repeat than a three step process. At 37Signals Jason Fried routinely removes product features right before launch in order to simplify. Now that’s the actual hard work, because it requires making tough decisions. That’s the better conversation to have. We should ask ourselves, everyday, how do we simplify a process or product (or our lives) and still have positive outcomes?